Whether you’re a watersports junkie or just dipping your toe in the shallow end, eBay has all of your watersports equipment needs covered. From swimwear and caps to windsurf boards and kayak paddles, our comprehensive watersports store will let you enjoy all your favorite activities in the pool or open water. If you’re swimming laps or splashing around with little ones, you’ll want to browse our broad selection of swim necessities, including swimming goggles from favorite brands like Aqua Sphere and Arena’s swimwear and safety collection. For accessories like kickboards and waterproof lap counters, check out eBay’s vast array of swimming training aids. 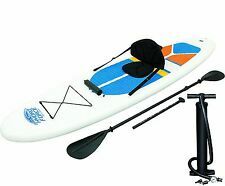 Watersports enthusiasts will find everything they need to fully take advantage of the ocean, river or lake by perusing countless options in watersports activity merchandise. Scuba divers and snorkelers can clearly capture and view all those mesmerizing subaquatic moments with underwater cameras, strobes and flashlights. 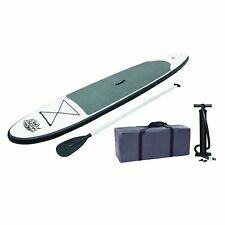 For those who appreciate H2O from the surface, explore eBay’s extensive variety of skim, body, surf and stand up paddleboards. 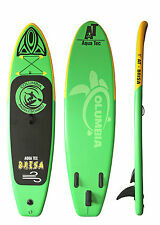 You’ll also find all your board accessories including decals, patches and stickers. More comfortable boating than fully submerged? Get into one of our inflatable kayaks, canoes and rafts—and kayak accessories, too! When you’re tubing or wakeboarding off the back of a boat with a little more speed, make sure you’re comfortable and safe with wetsuits and life jackets in the right fit. No matter what kind of relationship you have with the water, eBay’s bottomless watersports store will let you swim, dive, surf and cruise to your heart’s content. 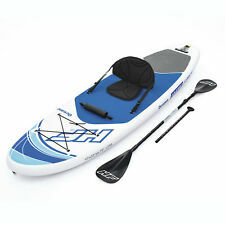 Browse watersports equipment and watersports accessories whether you need a fishing kayak, surfboard, paddleboard, inflatable boat or speargun.